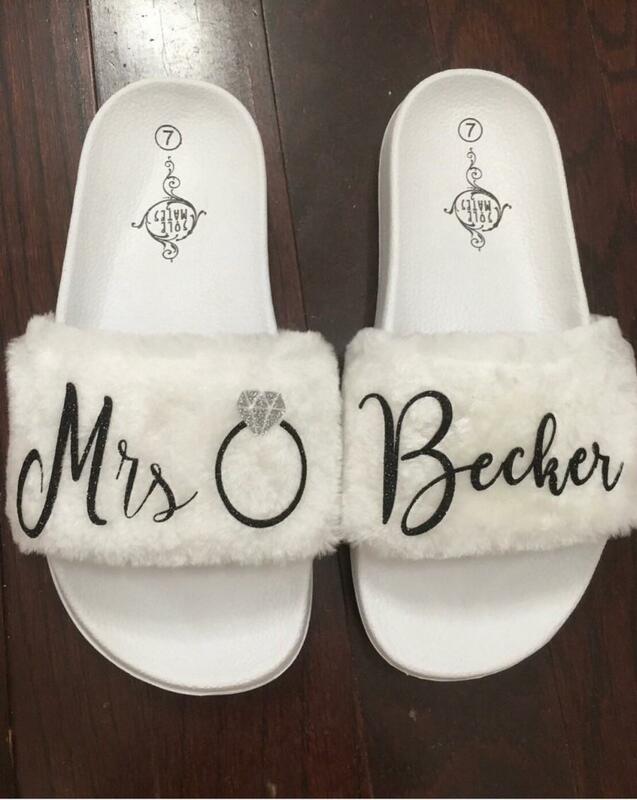 Personalized slides to wear on that special day and every day after. It’s the perfect gift for your party or just the bride. In the comments put your size and the color of the text you would like. Also put the name you would like and if you want to include the ring. You can have your own wording as well.